Well September crept up on us pretty quickly and October is fast approaching. All well and good if you’re the type of person that looks forward to cosy nights in with a book or in front of the TV, but not so great for those of us who love to BBQ. 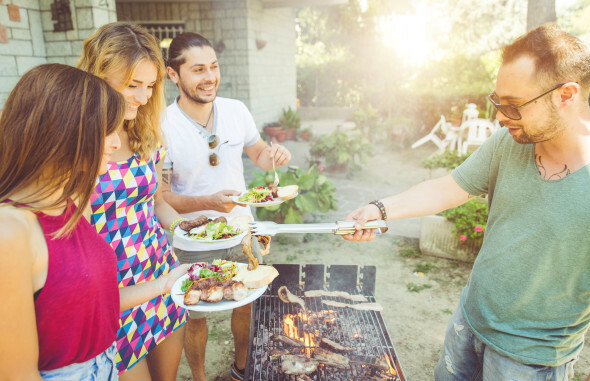 It’s been a cracking summer and there have been plenty of opportunities to get together with friends and family and share a jolly good evening in the garden grilling sausages, bacon, burgers and whatever else we manage to get or mitts on. Spicy chicken wings are always a favourite but perhaps the most scrumptious item I had this year was a red pepper and beef skewered kebab, marinated in tabasco sauce. Very spicy and not for the faint hearted!